'Chaotic prison breaks, mission misadventure gone horribly wrong, eye-popping surprises, zingers and zany action keeps viewers joyously glued to their chairs,' says Sukanya Verma. Wisecracks jump right out of his mouth at the precise moment they're meant to and unfailingly do the trick. His effortless sass and chatterbox stamina is tailor-made for Deadpool. 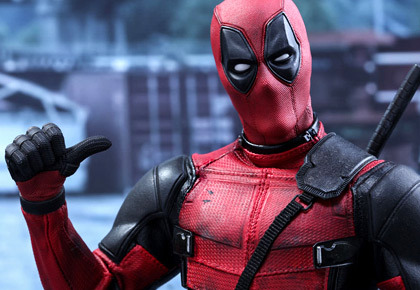 Mostly though, The Merc With a Mouth's snappy humour, smutty charm and barrels of bad language provide a breath of welcome, winsome lunacy from the holier-than-thou overkill of his PG-13 counterparts. Deadpool 2, which arrives close on the heels of Avengers: Infinity War may not always have the last laugh, but it's definitely an improvement on the somewhat one-note origins story. In the bigger and busier sequel though, its smart-alecky superhero faces serious setbacks, possibly more significant than last one's cancer and volunteer work triggering off an eternally bad skin and compensatory regenerative powers. Wouldn't expect anything less savage from the director who killed the dog in John Wick -- David Leitch. Former Special Forces guy turned full-time mercenary Wade Wilson aka titular hero has a bad case of the blues. And not all of it can be attributed to the third act of Logan, Infinity War or even Barbara Streisand's singing -- gags I laughed my head off to before advancing to hee-haw at its 007-inspired opening credits. Help from Wilson's mutant friends Colossus and Negasonic Teenage Warhead may not open many doors (except the ones you want to keep an eye out for) but lead to undeniable mirth. Throw in a 14-year-old fire-tossing miscreant (Julian Dennison's 'industry discriminates against plus-sized superheroes moment is a hoot) in desperate need of Deadpool intervention and Cable (Josh Brolin's badass run continues post-Thanos), the weapon-armed po-faced soldier from the future eager to bump him off and what have you? 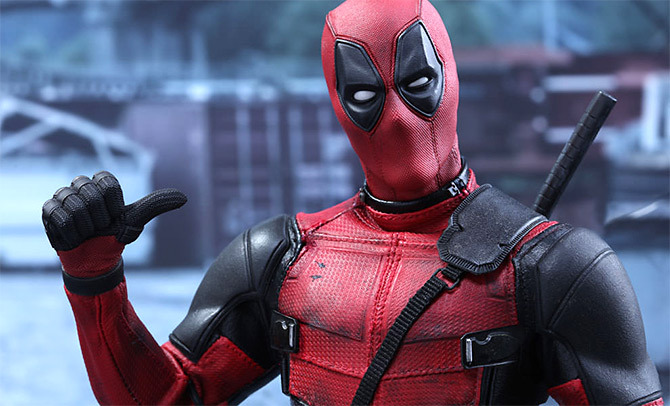 Redemption, revenge and rude humour come together like one big happy family -- the kind Deadpool's craving for -- in this slapdash script, co-written by Reynolds alongside Rhett Reese and Paul Wernick, that makes light of a man's misfortune through his endless capacity to play the fool. Deadpool is bit of a trick or treat wherein you're constantly split between feeling bad for its anti-hero's rotten luck and chuckling hard over the frenzy of wit stemming out of his misery. A big chunk, if not all, of his stand-up comic-meets-slayer appeal lies in slamming the fourth wall or breathlessly babbling a zillion pop-culture references -- Panic Room, Terminator, Interview With the Vampire, Batman v Superman, Frozen whilst decimating a swarm of goons, only of a little more questionable character than he is. Deadpool is a self-aware franchise and mighty proud of its saucy individuality. But it's no less ambitious than the ilk it mocks, an observation that's only cemented by its imminent 'X-Force' vision. Perhaps it's difficult to expect such conformity from someone so subversive. In the hands of its supremely talented leading man though, it acquires a vision that's fun even when wafer-thin. Deadpool started out as a passion project for Reynolds, but now that it has tasted box-office blood, he's on a course correction. Which means Green Lantern gets yet another jab in the jaw. The joke's a bit old now, but the Regenerating Degenerate is only getting started.